Dogs need a proper diet and exercise just like people do. How much exercise does your dog get? Some pets live outdoors, some live indoors, and some do both. Each situation is different, including yard size, the time people have to spend with pets, etc. All things considered, what are the ways that you can exercise your dog? One of the best ways to help your dog get the exercise he or she needs is to go for a walk. The walk also gives you exercise, and it’s time that you can spend with your pet. There might be days that you are away and not able to walk your pet, or you might have to switch times. You can also hire a dog walker if you like, too. You can walk your dog around the neighborhood, or maybe you would rather take him or her to a different spot, like the park. 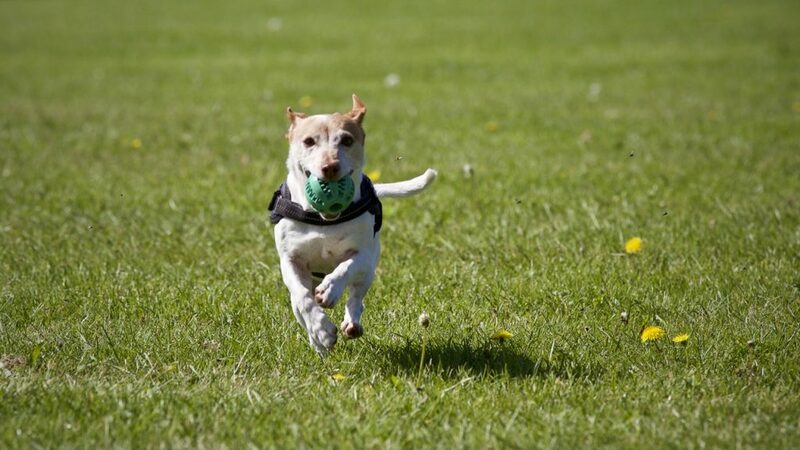 There are also dog parks where you can let your pet roam freely and even socialize with other animals. These aren’t always the best situations for every dog, so use your discretion and see how your pet takes to dog parks. Dogs also like toys, and there are many dog toys that you can get to help exercise your pet. A small tug of war rope is one toy that might excite your pet and get him or her playing. Dogs sometimes like balls and playing fetch, too. Dogs also just simply love attention and will play with you in other ways. If you have a backyard, you might also let your pet go outside and just roam around for a few minutes, even if he or she is an inside dog. Dogs certainly need their exercise, and there are many ways for you to make that happen as you can see. Dogs can’t eat everything that humans can eat. While that is the case, raw food for dogs has its benefits. You just have to know the risks and what not to feed your dog. Let’s first examine some of the benefits of a dog’s diet based on raw foods vs manufactured and processed dog food. Do you clean your dog’s teeth? Some people do and some people don’t. Yet you can ensure your dog’s teeth stay healthier by feeding him or her raw food. You do have to take into account the fact that it takes some dogs a period of adjustment when you switch their diets. You might be hesitant to make the change because you think your dog won’t like whatever food you choose, but remember, dogs do tend to like whole foods. Dogs just need to eat a proper diet, and that includes the right whole foods. Another benefit you can count on when you start your dog on this type of diet is that he or she will produce smaller stools. Additionally, your dog will have healthier skin, too. Granted, the benefits are contingent upon feeding your dog the right types of raw foods. What about the cons or possible risks associated with this type of diet? There are risks associated with feeding your dog raw meat as you can imagine. There are some sources that also point to this type of diet not necessarily being good for dogs over the long term. There is a risk associated with the bones that can be found in meat, too, especially chicken bones. Vegetables and fruits are included in a raw foods diet for dogs, too. In fact, dairy products are also part of the equation. You want to feed your dog a well-balanced diet for sure. Those raw eggs mentioned are also often incorporated into this type of diet for dogs. If you are going to start your dog on a raw food diet, it’s important that you understand the benefits and risks mentioned so that you can make the best decisions.